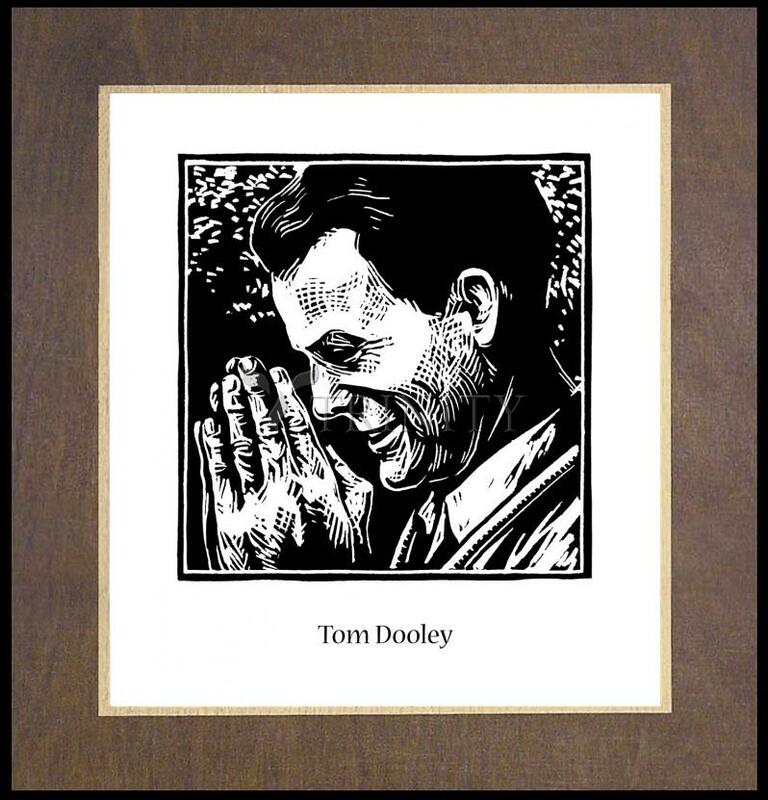 A fine art, giclée print expertly mounted on a ¾" Wood Plaque with a Natural Birch Vanier stained in medium walnut. A magnificent gold trim enhances the artwork. There is a 1½” border framing the artwork and beveled edges. A satin laminate with a transparent, non-glare, UV coating protects the finish. 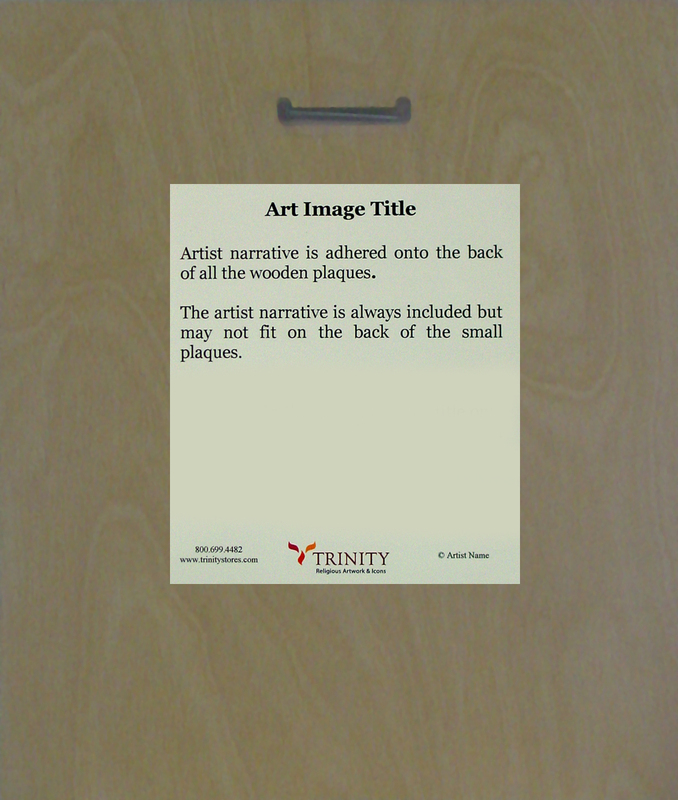 Keyhole hanger and artist narrative on back. 7-10 business days to manufacture from time of order. See Wood Plaques for more information. Tom Dooley's parents hoped that he would become a concert pianist and sent him to the Julliard School of Music as a teenager. This was not the path that Tom wanted for himself, however. He felt called to become a doctor. After receiving his M.D. degree from the University of St. Louis, Tom volunteered as a medical intern on the U.S.S. Montague, which transported refugees from North Vietnam to South Vietnam. He later worked in the refugee camps of Haiphong and knew that he wanted to continue working to improve medical care in Southeast Asia.